As I was waiting between buses in Limerick earlier this week, I cross Thomond Bridge and strolled through Thomondgate, one of the old, traditional areas of Limerick, on the north side of the River Shannon, opposite Saint Mary’s Cathedral. In the past, Thomondgate provided the link between the Englishtown area of Limerick City on one side of the river, and the Kingdom of Thomond or Co Clare on the other bank of the river. The mediaeval city of Limerick was confined to the Englishtown area until Thomondgate and the ‘Northern’ Liberties were granted to Limerick in 1216. Thomondgate was connected to Limerick by Thomond Bridge over the River Shannon. Co Clare was shired or created in 1565, but this part of Limerick remained on the border between Munster and Connacht until Co Clare was annexed to Munster in 1602. 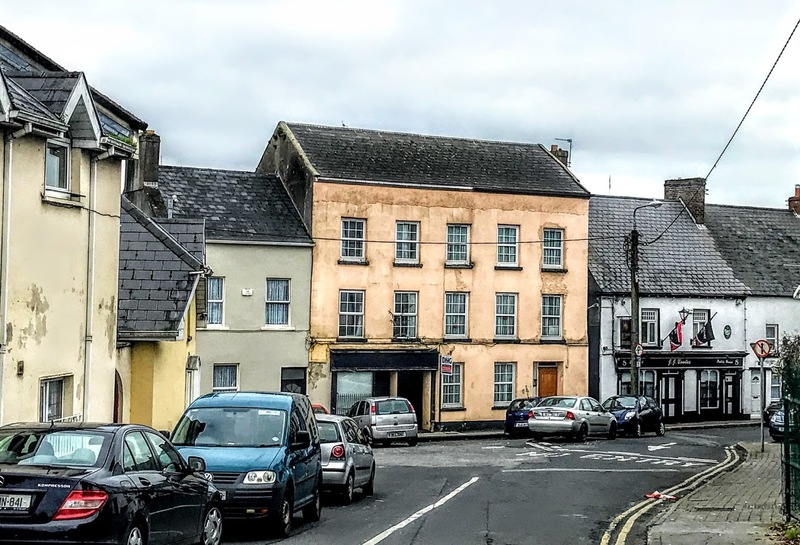 Although Thomondate survives as the name of one of the narrow, charming, winding streets in this part of Limerick, High Road was the main street in Thomondgate. After the Siege of Limerick in 1690, it is said, the Treaty of Limerick was signed in 1691 in Thomondgate at the Treaty Stone, which now stands on a pedestal on Clancy Strand. Following the Treaty of Limerick, the area was settled with many families of Dutch weavers, whose trade flourished until the early 19th century. The area also had a quarry, and a distillery that survived until the early 1920s. Thomond House is an elegant survival from the late 18th century. This house, which is now a women’s refuge, is one of the few surviving 18th century houses in Thomondgate. 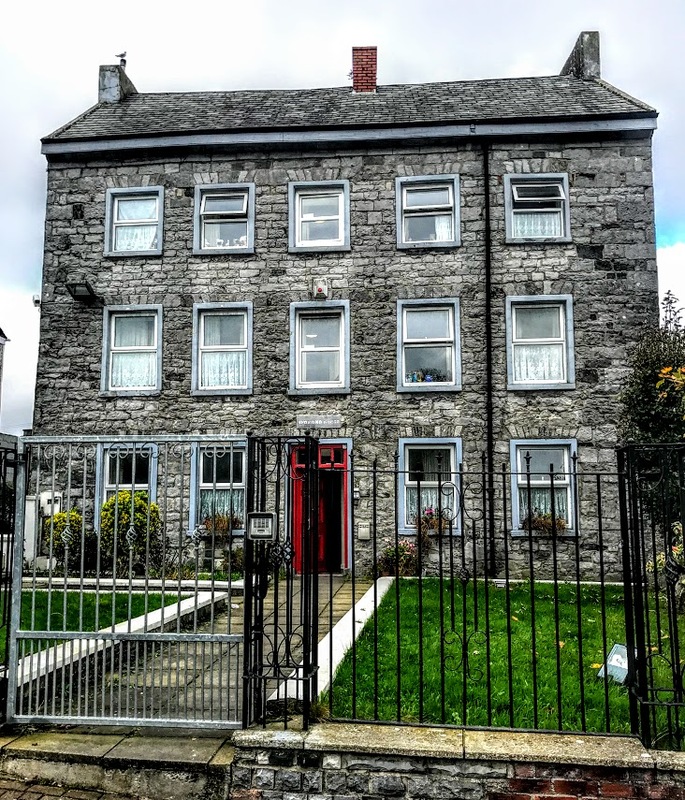 It is a three-storey, five-bay, gable ended house, was once the home of John Buchanan, the first person to organise a regular coach service between Limerick and Dublin – a journey that took four days, compared to a bus journey of 2½ hours today. With the introduction of newer and better coaches, the journey was cut to two days, and then halved again to one day. Today, Thomondgate is a mainly working class district of the city and has grown rapidly over the past years. 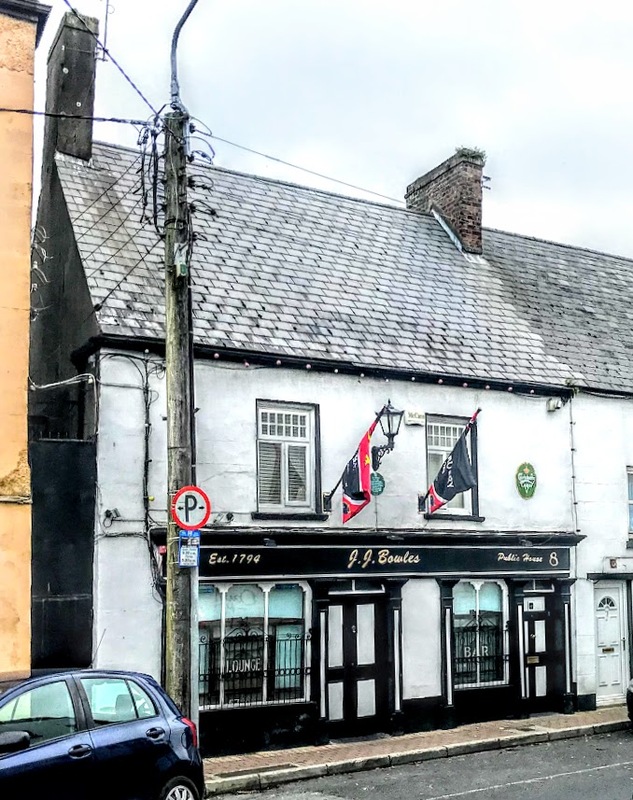 In the heart of this district, JJ Bowles at No 8 Thomondgate, which backs onto the riverbank, is one of the surviving traditional pubs, and popular with Munster rugby supporters. The pub takes its name from JJ Bowes (1879-1948) from Thomondgate, who lived here. He was the Irish Handball Champion for almost 25 years and who contested the World Championship in New York in 1909. This end-of-terrace two-bay two-storey rendered public house, seems to date from 1794, making it one of the contenders for the title of the oldest pub in Limerick. Some sources point out that the building claims to date back to the 1600s, but while the pitch of the roof and the thick walls indicate this earlier date, it is difficult to give an accurate date for the building. The 19th century timber shopfront has six Doric pilasters joined by a timber fascia with a cornice above, and two display windows rising from rendered stallrisers, with timber mullions and shoulder arches. I walked through Thomdgate and along High Road as far as Thomond Park Stadium, the home of Munster Rugby, and also visited Saint Munchin’s Church on the corner of High Road, Thomondgate and Clancy Strand before having lunch in Jack Monday’s. In Jack Monday’s, overlooking the banks of the Shannon, I heard stories about the Limerick Soviet. But these are stories for another day.